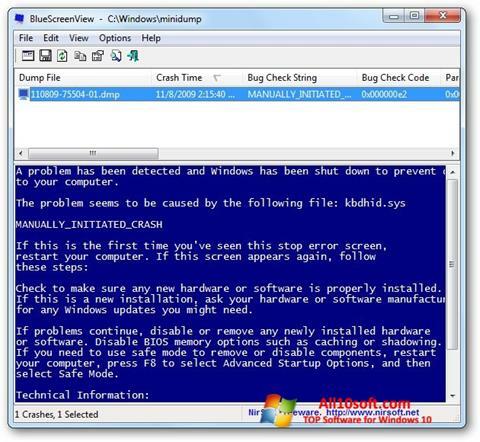 BlueScreenView for Windows 10 - A utility for interacting with crash dumps. The application allows you to scan the records of the operating system, generate a summary report with a detailed description of errors and their causes. The functionality of the program can display the date and time of the hardware failure, the full text and memory address, indicate a conflicting device. The utility is able to analyze the list of installed drivers, is able to find matches in crash dumps, includes the ability to export to text formats, uses interaction with the Internet to search for a description of error codes. You can free download BlueScreenView official latest version for Windows 10 in English.